Ne menu ? Click <HERE>! Screenshot from testing the engine. Sebuko's projekt "Hideican" isn't dead! He may have deleted the entry on his homepage, but he still creates musics for this project. If the game becomes as good, as the musics, there is another great clone waiting for us! Find his musics at the soundbase, and oh nhis homepage. And what is it, you shot in the demo? 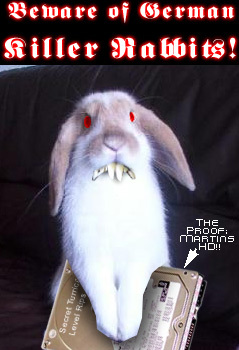 Original German harddrive-eating killer-rabbits!